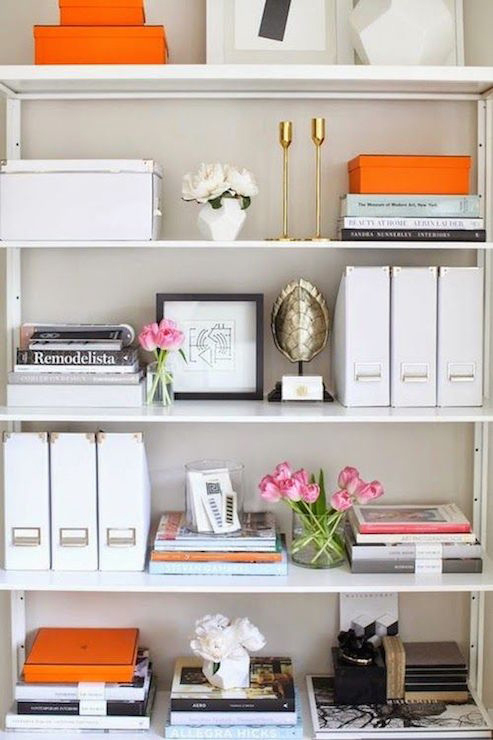 IHeart Organizing: Current Color Crush: ORANGE! 23 Current Color Crush: ORANGE! Hi everyone! I apologize for my recent extended absence. Although it wasn't planned, it was necessary. I truly appreciate that many of you took time to check in with your kind comments and emails. I find so much happiness in connecting with you all here and it is always hard to step away for more than a few days at a time. I have missed you! Today I wanted to chat about something that took me by surprise. In fact, I am still trying to wrap my head around what I am about to write. I am falling madly, deeply in love with the color orange. Just take a minute to let that soak in. I will be here when you pick your jaws up off of the floor. Color is such a huge part of everything I do. 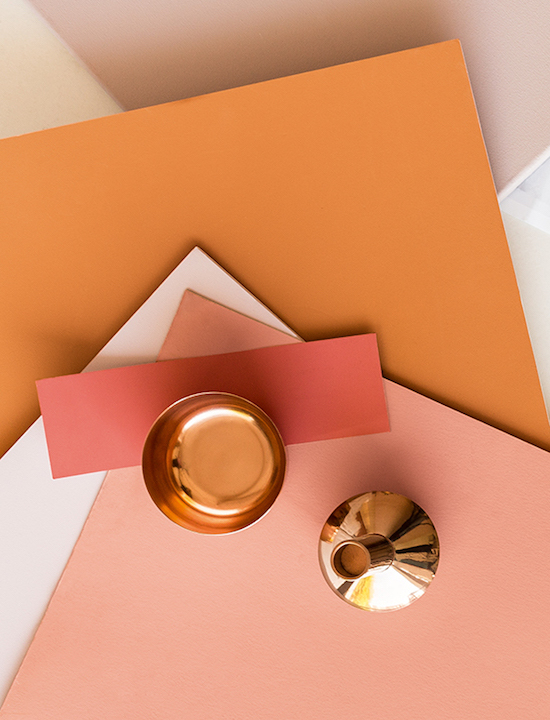 Whether I am sourcing wallpaper for a closet or a paint color for a piece of furniture or designing planner pages and printables, color combinations are always catching my attention. That said, I tend to stick with a lot of the same colors over and over and there are others that I generally avoid. Orange was one of those colors. Orange has never been a color that I have gravitated to, down to avoiding orange notebooks and folders back in my school attendance days. I am not sure where the aversion stems from, but it was strong and rarely seen anywhere around our home. And really, I can only think of one time in the past three years that have I purchased a decor item with dominating orange tones, and it was under the strong advisement of a dear friend that I trust. And you know what, she was right! I just didn't really realize it at the time because I was too in my head about how against my personal style grain that purchase was. 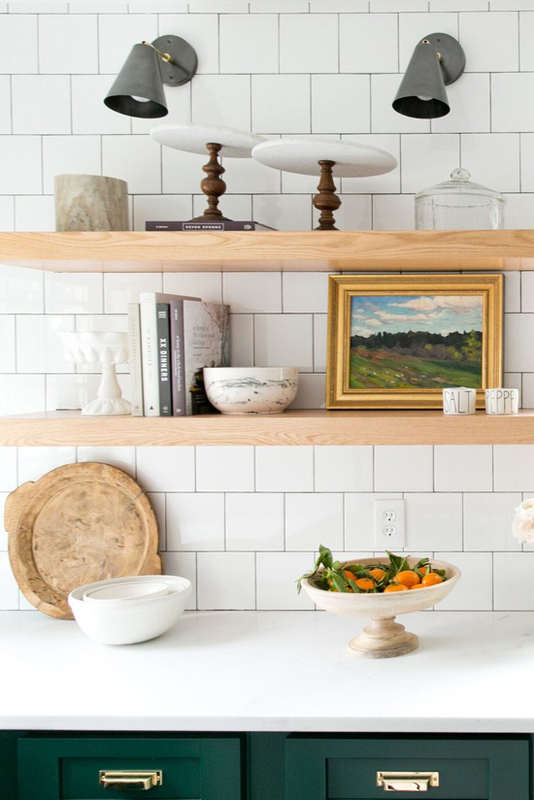 Well, inspiration strikes everywhere and I stumbled across a home tour with bits of orange used really well. I remember studying the images to figure out all of the components that made me feel so moved by the space, and the surprise-to-me was the consistency of orange color combinations. The home was done with a lot of cooler colors (which I generally like), and then warmth was brought in through small amounts of orange tones and aged brass. The orange was sprinkled in minimal ways because it can be a really overpowering color, but those small bits still made enough of a difference in adding dimension and interest. Next, I spotted a piece of art I quite liked and noticed the same color pairings. I was starting to notice a small theme and thought I would challenge myself to bring in a little bit of orange into a room just to see what I think. All I purchased was a very inexpensive throw pillow (this one), and I was shocked at how something so small changed the entire feeling of our bedroom. Just a teeny tiny change added some new dimension and interest and warmth. The best part? Very little commitment. Playing with color can be scary and overwhelming because there is always a risk that you are just falling into a trend or liking something temporarily or that it ultimately just won't mesh with everything else you have going on. 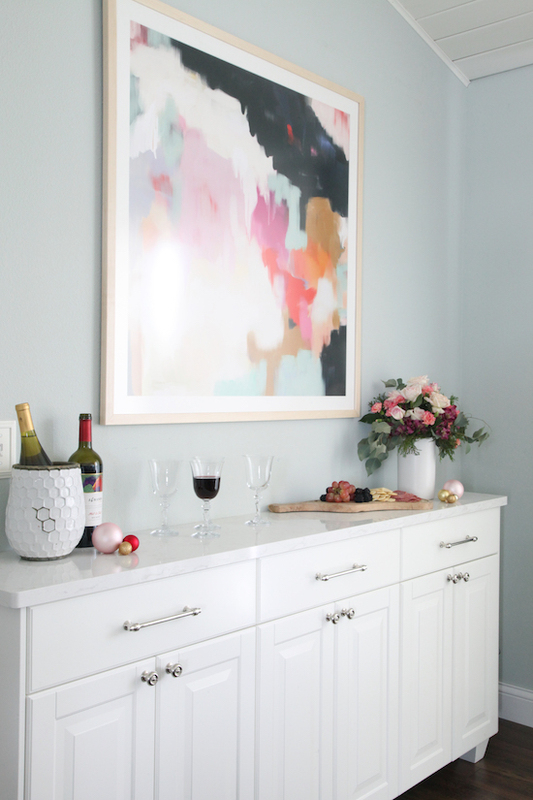 But there are really easy and inexpensive ways to layer a new color into your rooms and life, and budget-friendly means very few strings attached with the opportunity to have some fun too! Although I am focussing on my new color crush of orange in this post, I thought I would try and come up with at least 10 cost-effective ways to integrate any new color into your home. As I mentioned, this was my first route. The pillow was already inexpensive, and I purchased it during a sale to make it even better. For under $15 I was able to add another layer to our bed and learn a bit more about different color combinations that I am drawn to. I have since tossed that same pillow into all three boys' bedrooms and on our living room couch "just to see". It ended up being a nice layer in most of those rooms too, so now I know what to look for as I work to put finishing touches on other areas of our home. A throw blanket has a similar impact as a pillow, just fold it over the arm of a sofa or chair or at the end of a bed. This generally only pertains to kitchen styling, but produce can be found in almost any color of the rainbow. Filling a bowl or clear vessel with a single colored fruit or veggie will make a much larger statement than tossing a variety of colored eats together. For now I only have a single piece of art displayed with any orange included, and it is such a small amount that you almost wouldn't even realize how crucial the color actually is to the piece. But after I framed it and have now even gone as far to flank it with some brass sconces, the orange is becoming more prominent. I also tossed a dish of oranges below it and that little action pulled out even more of the orange. I can't wait to order a few additional art prints with orange playing the role of supporting actress. With really great curated art sites like Etsy, Minted, and Artfully Walls, this can be done for under $50, especially because I already own the frames. And if you have even the slightest creative bone in your body, dig through the kid's paint supplies and create your own decorative masterpiece for a zero cost solution (my friend, Emily, is always inspiring me to try this). Just like fruit, a great way to play with color with very little overall commitment is through greenery and florals! Just look above at what that single bouquet of orange flowers did to the entire feel of both rooms. The trick is to add a statement-making bunch in which the primary color is dominant and the remainder of the blooms are in softer, complementary hues and shades. Or just fill a vase with all of the same flower type for an even bolder moment. Either way, you will love the results of having fresh flowers around while having the chance to see how the color meshes into your room. 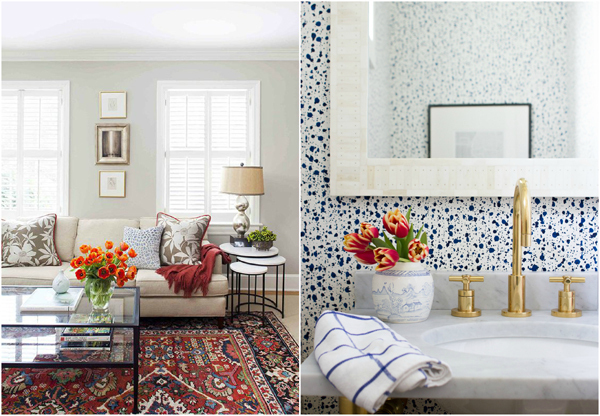 Not to mention, florals naturally bring the outdoors in and give a room true life. 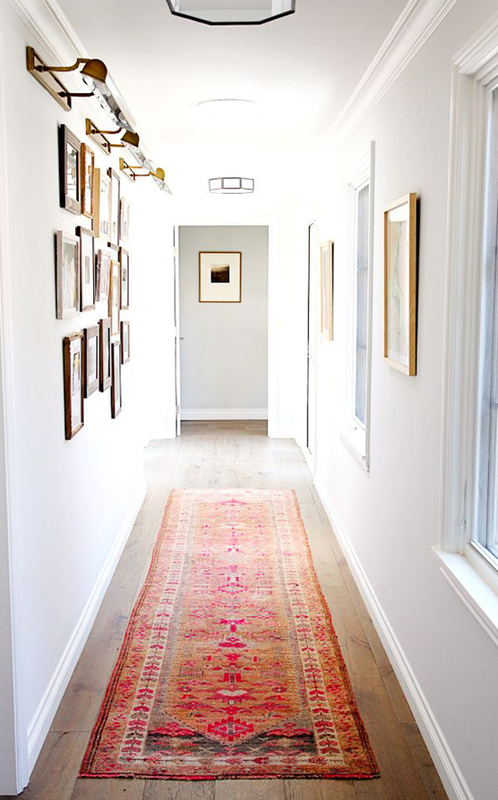 This isn't necessarily the cheapest way of all of the options, but if you can add a layering rug on top of a larger rug, an accent rug to a bathroom, or score a deal on a vintage runner for the hallway, then you can use that as a great opportunity to integrate your new color crush. 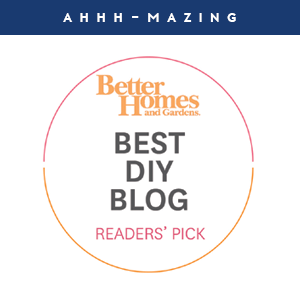 What I also love about this option is that so many rugs are loomed with a variety of colors throughout so no single color has to be the star or overwhelm the space. Simply trading out your existing side table lamp for one of a new color just might "brighten" the entire feel of the room in more ways than one. Although the base might be a statement maker, topping it with a white linen shade will balance it just right. Spray painting an old lamp, chandelier or ceiling fixture is another way to add color through lighting without breaking the bank. I have personally done this and still love those results. A little fabric goes a long way, and if you can use a staple gun, you can give a dining or office chair new life for only a few dollars. Or maybe you have a small bench that has seen better days? 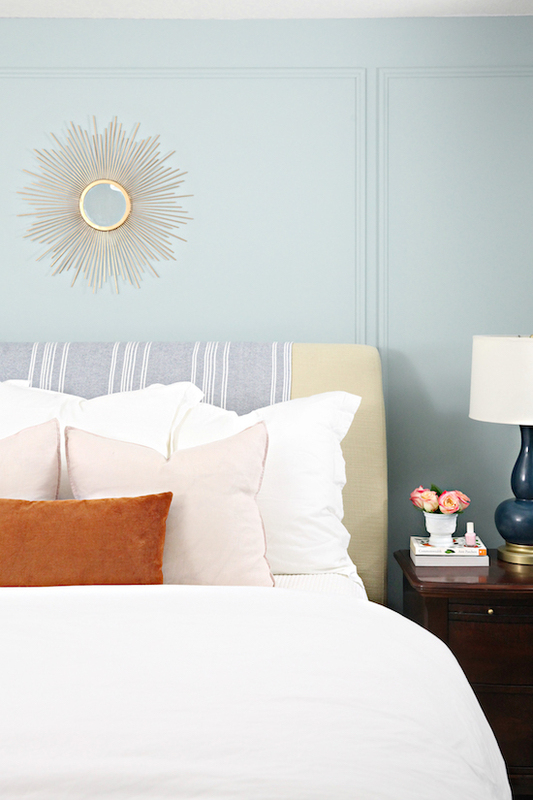 If you have a couple added skills and extra ambition, you could even tackle a headboard. And the fabric itself doesn't have to be anything designer; consider using remnants, Turkish towels, throw blankets, shower curtains... Oh! And those fabric pieces can also be added to embellish existing window treatments or used to make faux roman shades. Another little trick is to go to the craft store and pick up a couple of tassels in your new color and sew them on to the corners of a throw pillow or hang them from the knob of a piece of furniture. 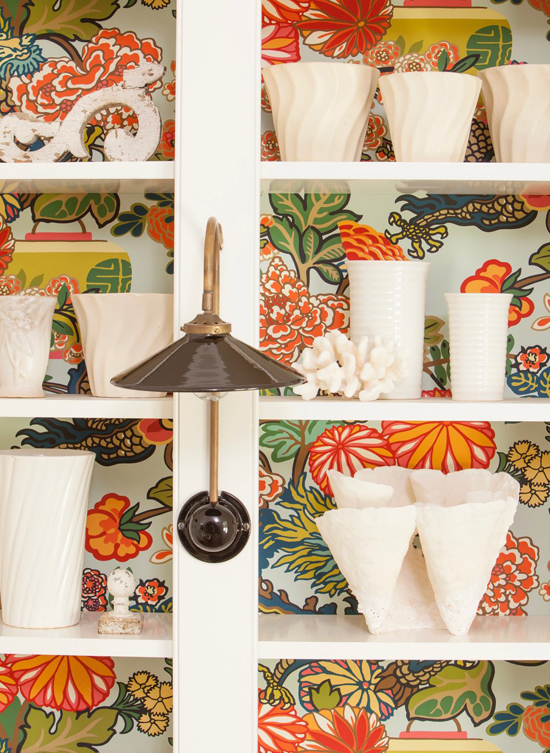 You know I am a sucker for pretty papers and patterns, as well as lining every bookcase, drawer, closet, and cabinet interior with them. So why not use some wallpaper scraps or gift wrap or fabric to add a temporary statement in a playful way? For those not interested in a long-term paperlationship, I recommend using a tacky putty to install this special touch of color. Who doesn't love the power or paint?! 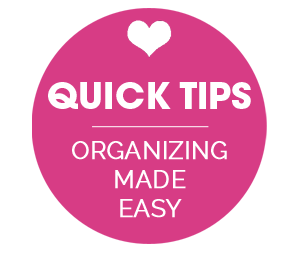 It is a low-cost way to make a quick and dramatic update. Or a subtle one if that is what you are going for. The options are endless, and the best part is, almost all paint projects can be changed again down the road. So if you are looking to integrate a new color into your home, look for a piece of furniture or mirror that is ready for a facelift. And if you are too worried to paint anything you already own, visit local thrift stores and check Craigslist for pieces that you have zero attachment to. At first, I had this last one titled "Book Spines and Product Labels", but then I thought of a few other ideas and it sort of just morphed into the more obvious-yet-needs-to-be-included "Small Accessories". 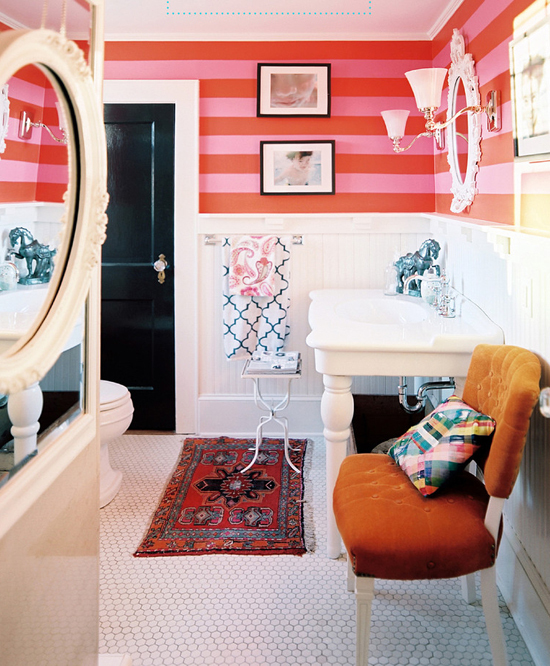 With orange specifically, it is bold enough that a little bit of it goes a long way. So investing in a couple very small accents/accessories will still be noticeable in the overall design, but won't drain my bank account. I collect design books and I use them frequently in our decor and styling because the spines are just so colorful and pretty (and I love that I can pick one up to read and feel inspired in just about every room of our home). For a subtle effect, mix and match the spines and add in a few of your new color, displaying them on a coffee table, counter, end tables, nightstands or bookshelves. The more of that color you group together, the bigger the overall impact will be. Other small ways to bring in a specific color are through products that you would use and display anyway. 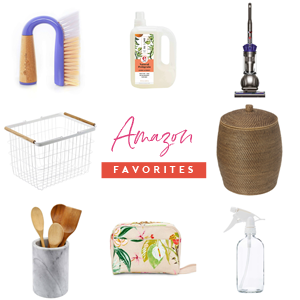 Maybe a wine or oil bottle on your kitchen counter. Or a candle on your coffee table. Or pretty packaging that can be upcycled as storage and shelf styling material. I am not above purchasing pretty shampoo and soap bottles once and then re-filling them just to leave that pretty colored branding out. Another small accessory that I absolutely love is a small dish, mug or bowl. 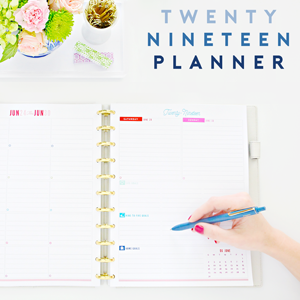 These are great for corralling everything from matches to spare change to keys, office supplies, and jewelry. Glassware can also double as a darling little vase. And finally, I recently had to re-photograph our hallway closet for a publication, so I updated the bins and labels. I decided to give my new love of orange a try and wouldn't you know it, I was smitten with the result. 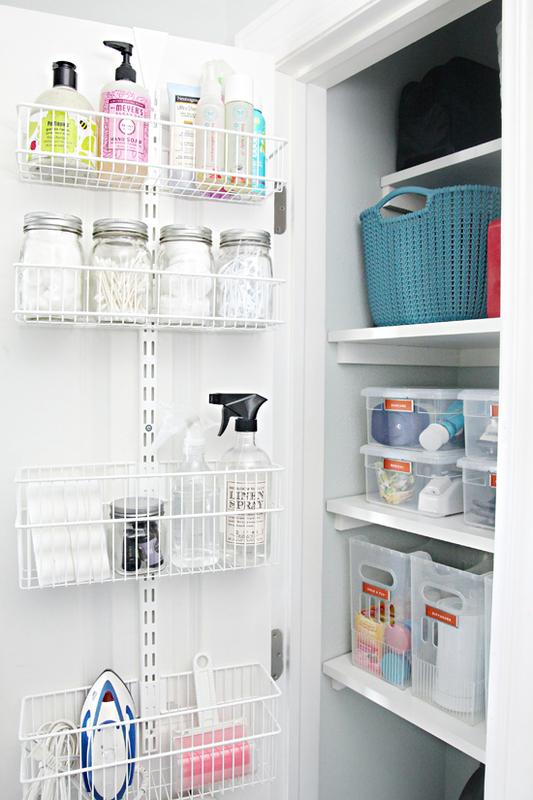 The labels are small but added just enough of the orange color to bring new life to the closet and storage bins. It still feels weird to say that I have a color crush on orange. I am not 100% sold on combining orange with any and every color. There are some combinations I am personally drawn to more than others. My favorites pairings include shades of orange with light and dark teal, blush pink and fuschia, lavender and eggplant, kelly and emerald green, and light and dark gray-blue. If you like a color and want to give it a try but are worried it is a little too much for your home or space to handle, find a muted version or go higher or lower on the color scale. The color doesn't have to be 100% pure or literal. I am realizing more and more that I prefer rooms that have a minimum of three colors layered in because they feel more built-over-time and collected. Three colors opposite on the color wheel might be too bold, but if you keep two of the three in the same family and then pick one opposite to sprinkle in as an accent, you may be pleasantly surprised. Now that I have shared ten ways that you can easily incorporate a new color into your home, are you inspired to give any of these ideas a try? Maybe DIY some new artwork or paint a small chest of drawers? Or even just pick up a pretty pillow to toss around? 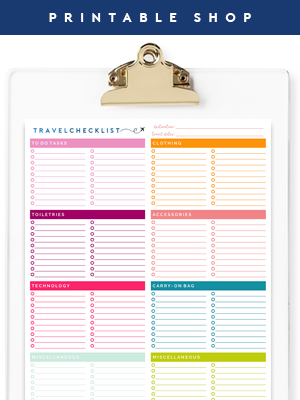 What color are you tempted to date even though it has been on your "no-go" list up until now? How do you feel about the color orange? Have I convinced you to try it somewhere in your home? Orange is one of my favorite colors (reminds me of sunsets) but I have such a hard time incorporating it into my home. Thanks for this post. I am so glad you're back! I rarely comment, but your blog is one of my few "check on every day blogs" because I love your content! Would love to see an updated home tour when you get a chance!! I love these ideas! Blue has always and forever been my favorite but I've had a color crush the last few years on coral/peach. I've been hesitant to use too much of it in my home because I'm afraid my feelings will change but this makes it seem easy and doable! That makes me so excited! And coral/peach would pair so nicely with blues! Those are all great combos, I also love the idea of adding in some cognac leather! Glad to be back too! Your posts are always so detailed, thorough, and creative. And I always learn and get inspired through that ! You're so brave to take on orange! It's a tricky color, but you have provided a wealth and variety of ways to add it to our homes. 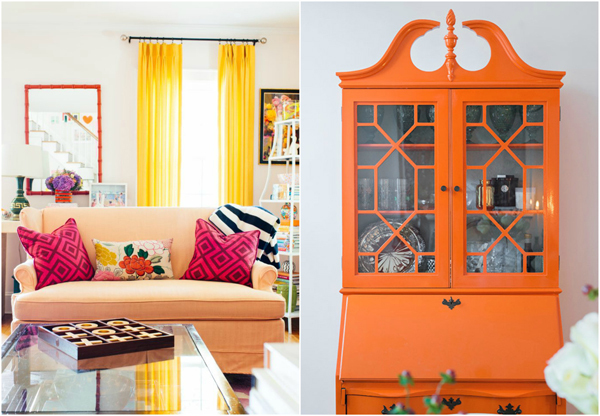 I love pops of orange too - it warms up any room! I am in love with that throw blanket you included! No!!! Until now I loved all your color combos!! ... not orange!!!.. Great post on incorporating color in general. Especially when on a budget it’s easier to stick to neutral “main” items like furniture/walls/cabinets.. so finding ways to add color without spending a lot is very helpful! Orange is one of my favorites too! Honestly I think it's a natural color to be drawn to when you like blues and greens and even pink. It just goes! First, thanks for the great information in this post. I made the main elements in all my rooms neutral, and add pops of color using many of the ideas you mentioned. Pillow covers, a throw and various books are used to switch my living room from turquoise/navy/lime in the Spring, switching the lime for coral in the Summer, and using turquoise and greys in the winter. Very little investment for a whole changed look. You gave me many more ideas to try! Glad you're back. Love this post. I’ve always loved the color green but over the past 2 years it’s BLUE for me. I find that I’m drawn to patterns as well. Sometimes I’m afraid things look too busy, but the. Again......I like it! Not sure how I missed this post in October. I have been missing your posts for so long. Glad you’re back!! PS we got to vacation in Wisconsin this past summer to the Dells. Wow!!!! We’ve been missing out. Definitely planning a trip back soon. Jen, I am in love with the white sideboard with the marble top in the picture with the Art. I've been looking for something like that for a while! Any chance you could post a link? The cabinets were designed out of upper cabinets purchased at IKEA (they are more narrow than standard base cabinets) and mounted to the wall through a rail system, and the top is Cambria Quartz in Torquay. I added decorative feet that I found at a Home Improvement store and painted to match. I am still adding small amounts here and there! This year I added a few orange bulbs to our tree and they felt like the missing link. :) Cheers to more orange in 2018!